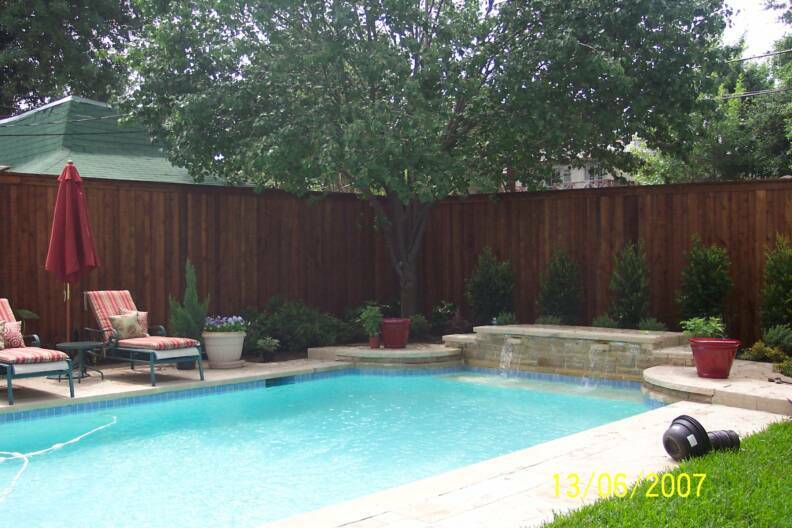 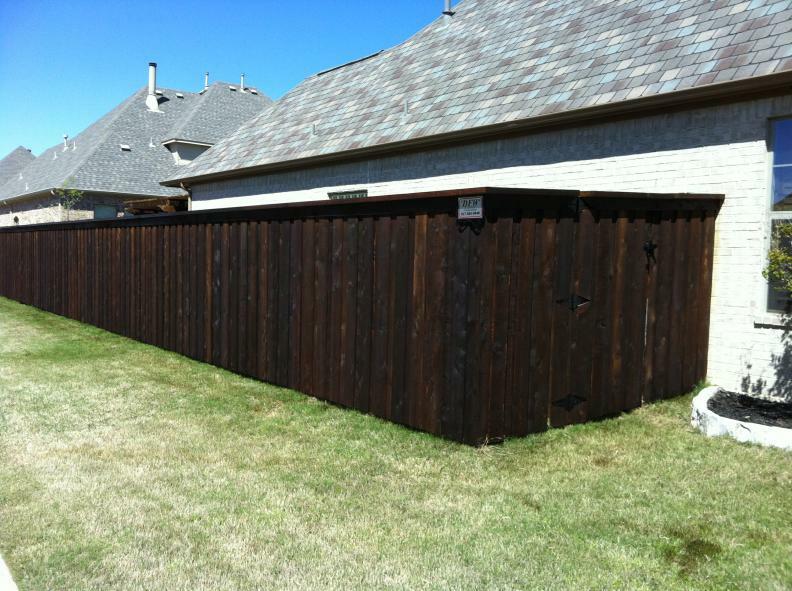 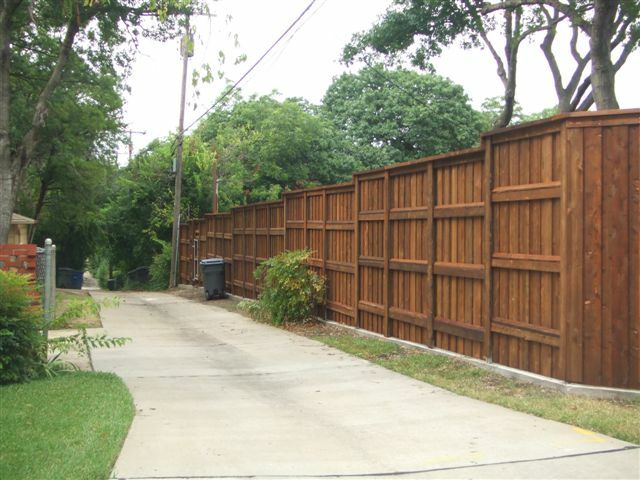 Wood fence is the most common fence in the Dallas / Fort Worth metroplex. 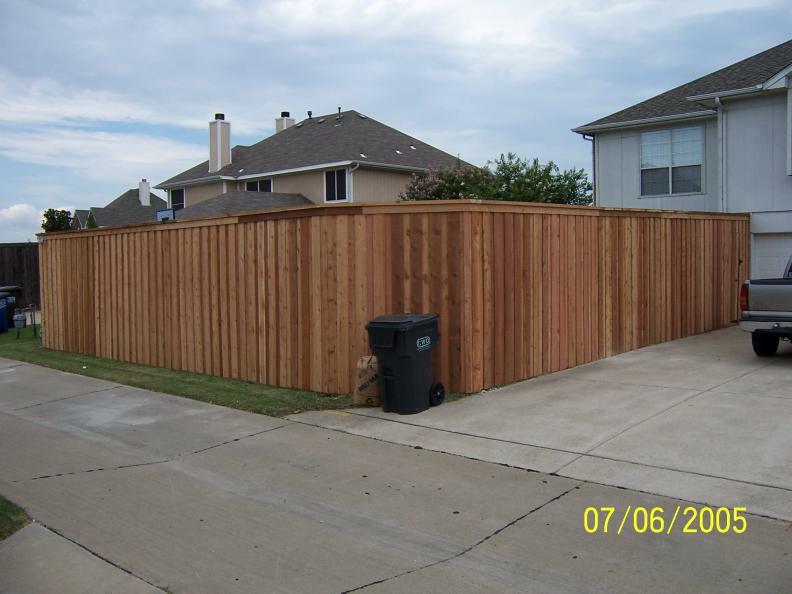 Wood fencing will consist of a posts, runners, and pickets.We install all types of wood fence like spruce , pine and western red cedar. 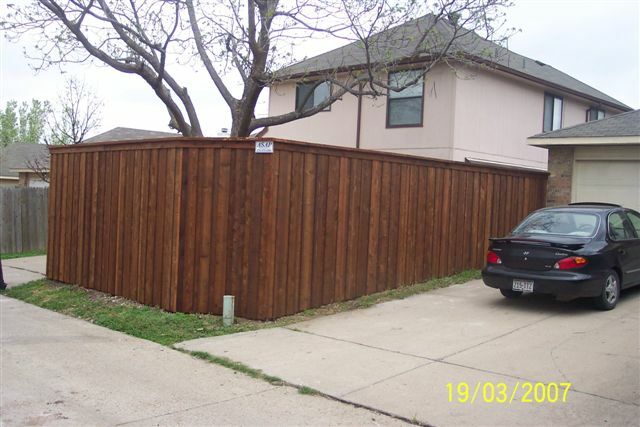 Spruce fence is the least expensive of the wood fence options. 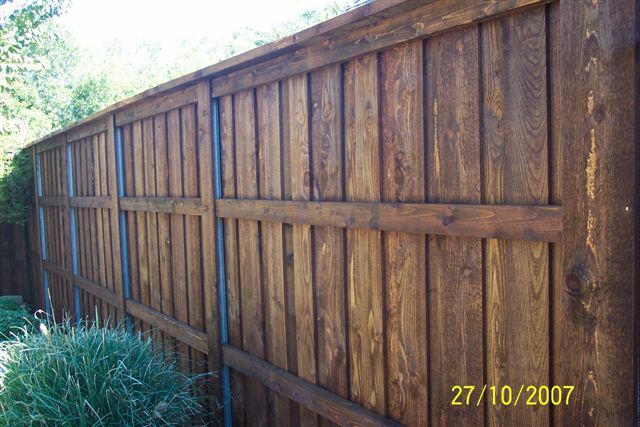 Spruce is useful as a building wood, commonly referred to by several different names including North American timber, SPF (spruce, pine, fir) and whitewood .Because this species has no insect or decay resistance qualities after logging, it is generally recommended for construction purposes as indoor use only (ex. 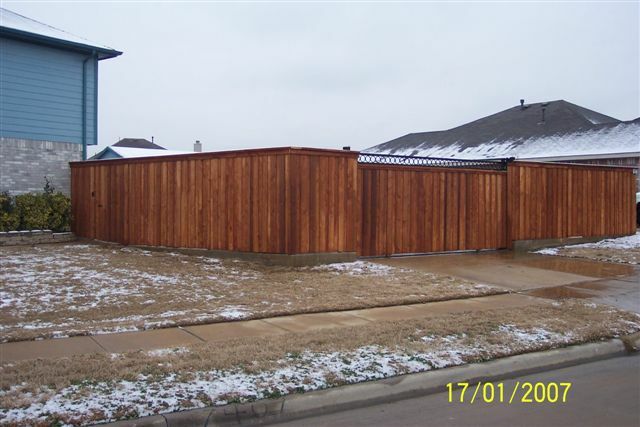 indoor drywall framing). 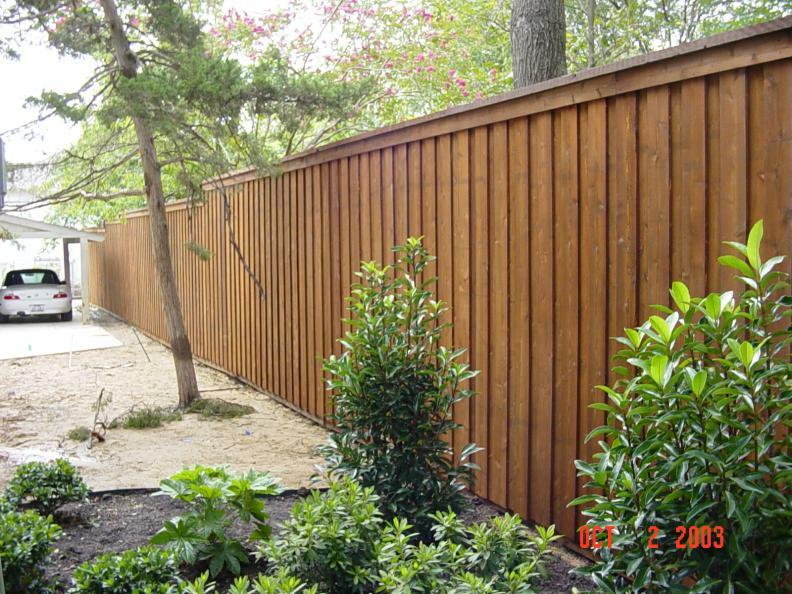 Spruce wood, when left outside can not be expected to last more than 12–18 months depending on the type of climate it is exposed to. 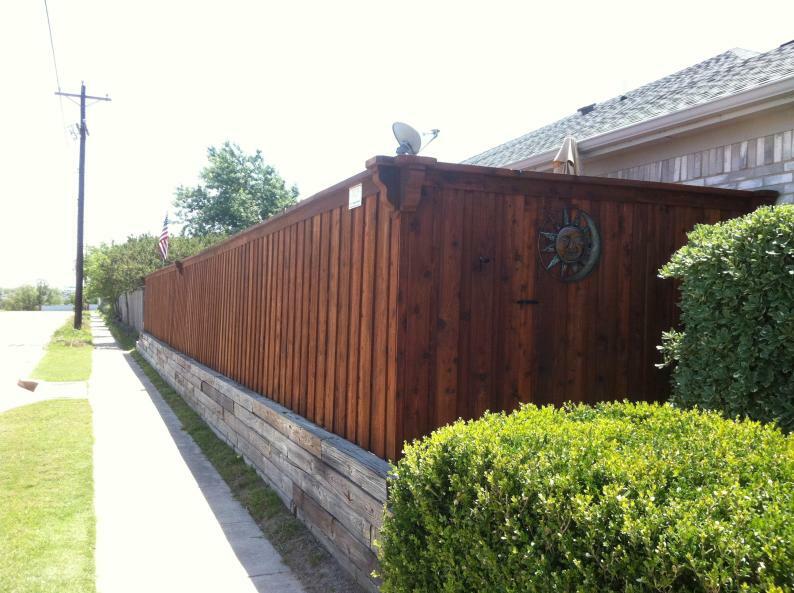 The soft red-brown timber has a tight, straight grain and few knots. 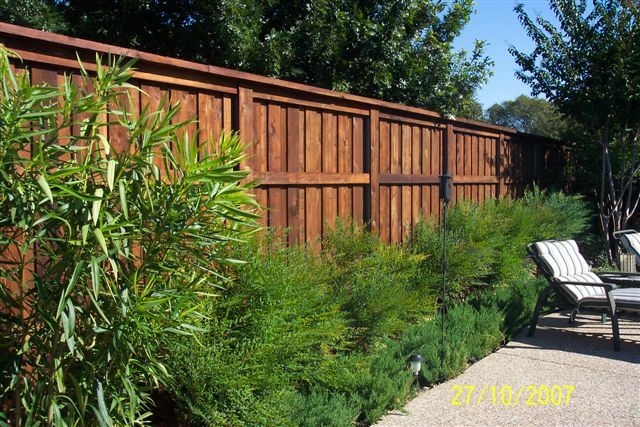 It is valued for its distinct appearance, aroma, and its high natural resistance to decay, being extensively used for outdoor construction in the form of posts, decking, shingles and siding.One of Western Red Cedar’s most valuable characteristics is its well-known high resistance to decay. 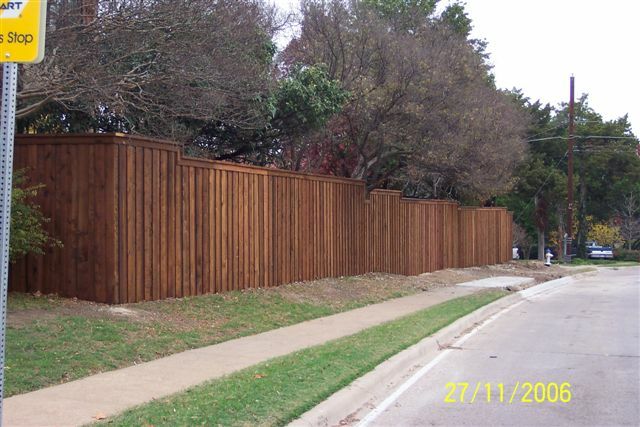 It is one of the most durable coniferous species and can be counted on to give long and reliable service under most conditions. 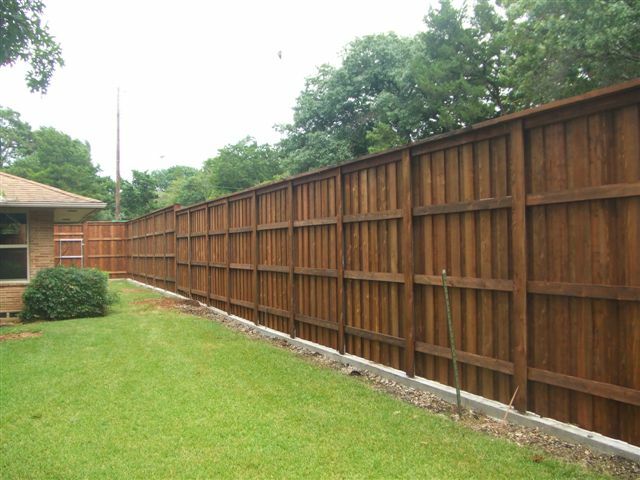 There are several types of fence post to choose from to build a wooden fence. 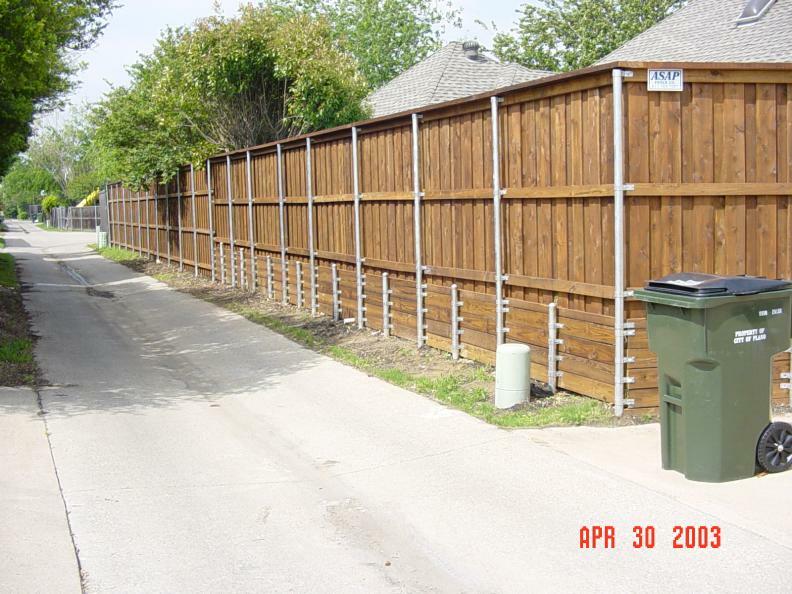 Most cities will permit the builder to use a landscape timber in leiu of the metal posts. 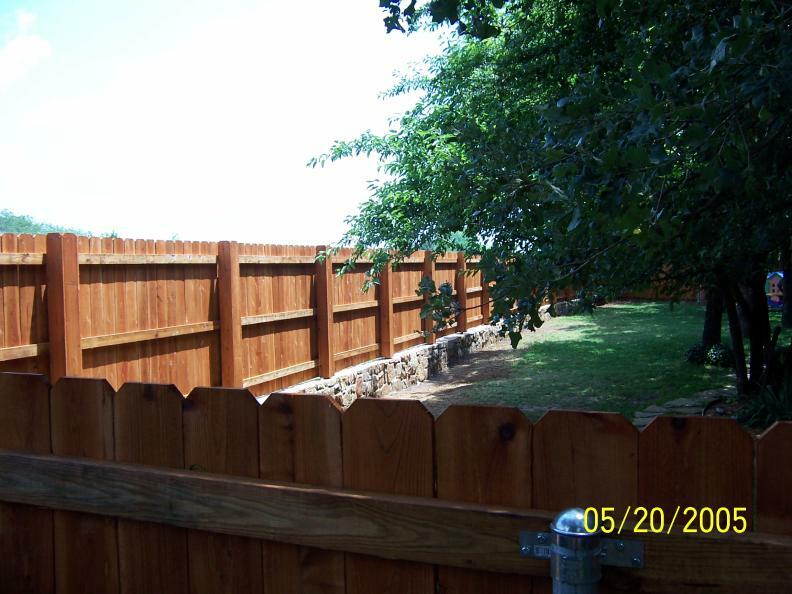 Metal post will help the fence to stay up and not allow the posts to be broken by the wind or rotted out by the water.